Vitamin D Discussion: D2 vs. D3. The Vegan Dilemma. I'm intrigued by the Vitamin D Discussion lately, especially when it comes to vitamin D2 vs. D3. And especially since at one point in my vegan diet life, I was diagnosed with vitamin D deficiency. I was shocked. Embarrassed. And annoyed - at myself. Me? How? Diagnosis to Rx. The doctor immediately put me on a vitamin D prescription. It was a little green gelcap about the size of my pinkie nail. The dosage was intense, 50,000 units. But not per day. I took one pill a week for ten weeks. Then switched over to a daily vitamin D supplement to maintain my sufficient levels. Back then I wasn't too concerned about questioning my doctor. Nor am I today. But when I look back on this, I realized that the pill he prescribed me was vitamin D3 - it comes from animal sources. He knew I was vegan, but didn't seem to mention this. Looking back, I still would've taken the D3 pill no matter what. But I would've at least asked him if a vegan version, aka D2, was available via Rx. And what he thought on D2 vs D3. Ask questions. "D2 comes from irradiated mushrooms and D3 comes from wool. In other words, D3 is the same kind of vitamin as humans get from the sun. Humans just don’t get enough and we can’t produce it on our own, like the sheep can. (D3 is natural for humans, D2 is not.)" 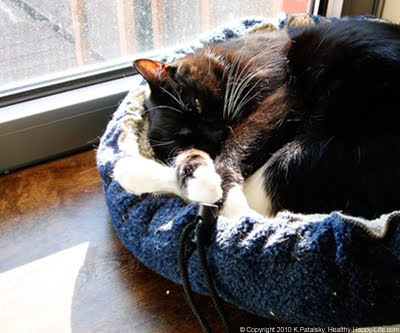 HSB goes on to describe how D2 is not natural for humans, and thus a poorer supplement. You can read the post "a case against D2" here. Although, many esteemed doctors and scientists still debate on whether or not D2 is as effective as D3. There are arguments on both sides. In fact, in October 2009, Science Daily published a Boston University study that showed vitamin D2 to be just as effective as D3. Science Daily D2 Study Here. The only reason I mention the Heart Scan Blog post is because it comes up very high in google searches, and apparently a lot of people are reading the case against D2 - D2, the vegan source of vitamin D supplementation. But is it true that D2 is the 'less effective' supplement? And what form do vita D fortified products use? D Fortified Milk. Most people think that if they aren't getting their vita D from the sun, it is coming in supplementation form from their milk. Dairy or not. Soy milk, like dairy, is also fortified with vita D. (Check your nutrition labels). I checked all my soy milks, and not too surprisingly, they use D2. I also checked at Horizon Dairy online and they fortify their dairy milk with D3. The animal product form. Interestingly, not all dairy milks use D3. Some use D2 because it is cheaper than D3. But what I am concerned with is the fact that all the vegan milk I drink, in my chai or espresso lattes, on my oatmeal, in my recipes and in my smoothies are fortified with D2. What does this mean if D2 truly is the less-effective supplement? Wouldn't all sunshine-lacking, vegans be deficient? And how would vegans survive in the dead of winter? And how did I become vitamin D deficient when I consume at least 2-4 cups of D2 fortified soy milk a day?? Frustrating indeed. And the truth is, I don't have any answers right now to my questions. All I know is what I eat and how I feel. Buying D2 Supplements: Part 1. A while back, after I finished my ten week Rx of vitamin D, I bought a few supplements at Whole Foods to maintain my D levels. One morning, I plopped my vitamin D supplement in my mouth and started to chew, yes chew. Yum. Vitamin D in gummie form. Sunny Gummies! I had taken these for about two weeks, when suddenly I glanced at the ingredients. Gelatin! D3! What? I purchased the product at Whole Foods and blindly assumed that the product was vegetarian and even vegan. Never assume! I remember spitting out that gummy mid chew and feeling really really dumb for not reading the label before buying. And it wasn't the D3 that bothered me. It was the gelatin. Aka ground up animal bones and such. Read Labels. Even at WF. Supplements: Part 2. I went back to Whole Foods and scanned the vitamin D supplement section. I knew that a lot of vitamins contained gelatin in their capsules or gummy form, but for some reason I had gotten lax about checking lately. But I checked now. Wowsers. 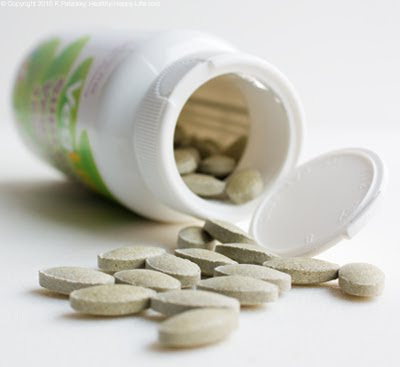 About half of the vitamin D supplements at Whole Foods used gelatin in their capsules. And about 99% of the brands used vitamin D3 instead of D2. Many of the multi vitamins also used D3. I really wanted to try a vegan D2, so I scanned the shelves. There was only one good brand that used 100% vegan ingredients: VegLife. It is lanolin free and 'high potency'. So I bought those, and have been taking them ever since. Nutrition: Vitamin D in mushrooms. A while back, I tweeted that "Mushrooms are the only fruit or veggie (vegan food) that naturally contain vitamin D" It's true! And even more interestingly, there seems to be some discussion that when exposed to a ultraviolet light, the mushrooms vitamin D levels increased significantly. Vitamin D fortified mushrooms anyone? The mushroom Lady describes this finding: "It has been demonstrated that when white button mushrooms are exposed to Ultraviolet B radiation, for a short period of time, the level of Vitamin D increases to levels many times the minimum daily requirement, i.e. 10 mcg. Normally, a serving** of white button mushrooms contains 18 IU (0.45 mcg.). 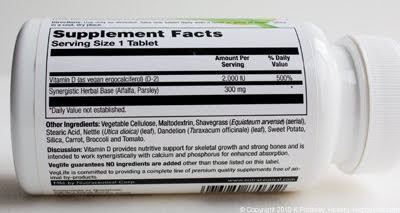 Treated mushrooms contain over 80 mcg. ***"
Fortified Mushrooms: 100% Vita D. I thought this was pretty cool. 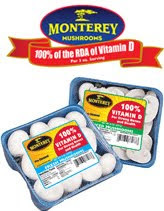 A company called Monterey Mushrooms has started selling the 'light treated' shrooms, which they claim have 100% RDA of vitamin D. I haven't seen these in my grocery stores. But I would buy them! Vitamin D Mushrooms. So for now, talk to your doctor first and foremost. I was glad my doctor tested me for vitamin D and B12 deficiency. But deficient or not, it's a good thing to know. The Experts: Dr Weil. I was thrilled when recently Dr. Weil posted an article, "Why You Need More Vitamin D" on Huffington Post about vitamin D. In his article Dr Weil says, "I am raising my recommendation of 1,000 IU of vitamin D per day to 2,000 IU per day." Why? Here's his reasoning: "We have known for many years that we need vitamin D to facilitate calcium absorption and promote bone mineralization. But newer research has shown that we also need it for protection against a number of serious diseases. In recent years, scientists have discovered that it may help to prevent several cancers, cardiovascular disease, autoimmune disorders, psoriasis, diabetes, psychosis, and respiratory infections including colds and flu." In the comments section of Dr Weil's post, I asked this question, "What are your thoughts on D2 vs. D3? 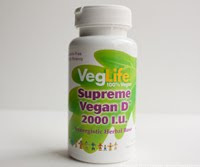 I am vegan and would love to know that the vegan supplement (D2) is indeed as effective as the animal product supplement (D3)"
Hmm...There are a lot of interesting comments on this post, although not a whole lot of definite answers. And that seems to be where we are at right now. Everyone agrees that Vitamin D is important, but the D2 vs. D3 debate rages on. 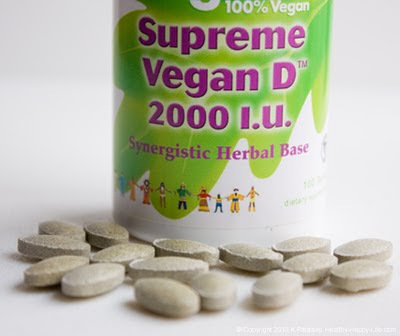 I'll tell you first hand that a lot of discussion says that vegans - and everyone should be taking D3 for optimal supplementation. But the jury is still out. There are arguments on both sides of D2 vs D3, which "prove" that their supplement is effective. Dr.Dowd: The Vitamin D Cure. Dr.Dowd wrote a book called The Vitamin D Cure. I haven't read it, but since he seems to be an authority on the subject, I wanted to see his POV of D2: What does he have to say on the D2 vs. D3 debate? Dowd answered this in a Vitamin Cure Blog post: "The short answer is Not D2." Dr Dowd goes on to describe testing errors, vitamin forms and a lot of other stuff that only doctors would understand. In short, I'm still confused. So I guess the answer for me is the same that it is for you: talk to your doctor, get your vitamin D levels checked and try to eat a healthy diet (rich in mushrooms and fortified non-dairy milk, if you're vegan). And a few trips a year to a super sunny tropical island probably wouldn't hurt either. 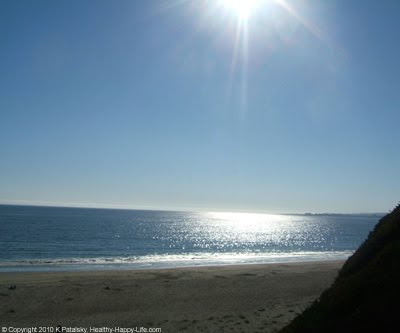 Take a vacay, get your vitamin D - sounds good to me. 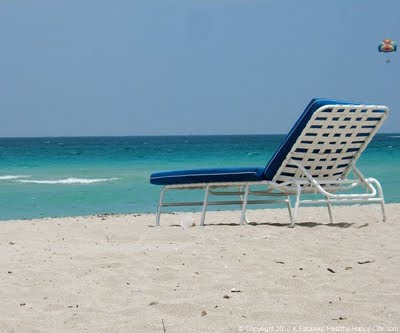 South Beach anyone?